Easy to move and store! 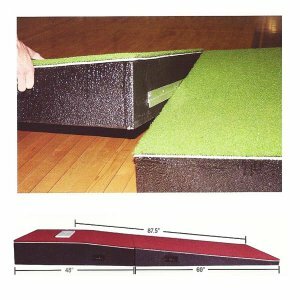 The Two Piece Portable Mound (9’x4’x10″) has high density foam construction protected with skid proof base that won’t damage gym floor. Moveable pieces allow width of mound to increase up to 6′ wide.